Concealer - Cosmetic Service produzione conto terzi prodotti cosmetici e prduzione full service. The concealer is not only used to correct dark circles, but also to hide redness, acne and spots on the skin. It can be in cream, liquid and powder. The one in cream is ideal for dry and mature skin, the fluid one is suitable for all skin types and fades very easily, the powder one is recommended for those with a fatter skin. GREEN CORRECTOR – Counteracts any kind of redness, such as annoying red spots, pimples, broken capillaries or localized redness. A little trick for those suffering from couperose: just add a small amount of green concealer powder to the moisturizer. You will immediately acquire a brighter and more natural color. PURPLE CORRECTOR – More than a correction of imperfections, the lilac or purple corrector is a tone corrector. It is used to illuminate a dull complexion, but also to attenuate the yellowish complexion of the most olive-brown complexions, or the gray one of the smoker. It also serves to cover the yellow spots and streaks of a non-compact tan. PINK CORRECTOR – It has the power to illuminate a tired and weary face, or simply serves to counteract the pallor due to artificial lights. YELLOW CORRECTOR – It has a natural skin lightening effect and is perfect for camouflaging dark purple circles, darker faces without giving a heavy effect as the beige standard corrector would do. 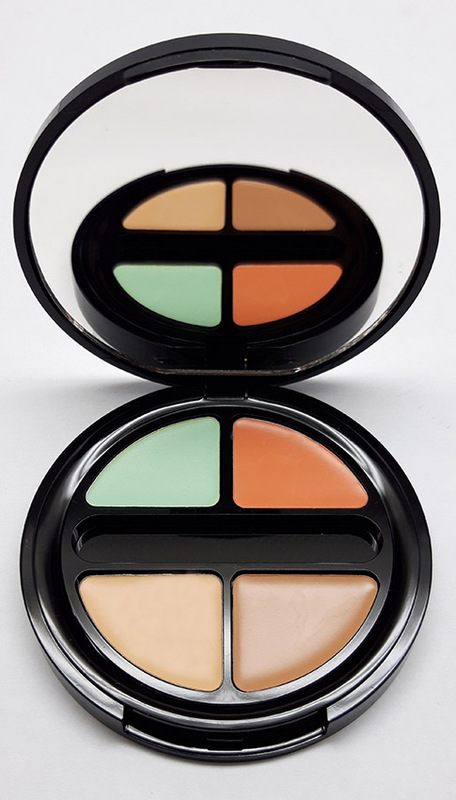 ORANGE CORRECTOR – If the dark circles tend to blue, it is better to use an orange concealer, which in very dark shades is also indicated to cover fresh bruises and hematomas.